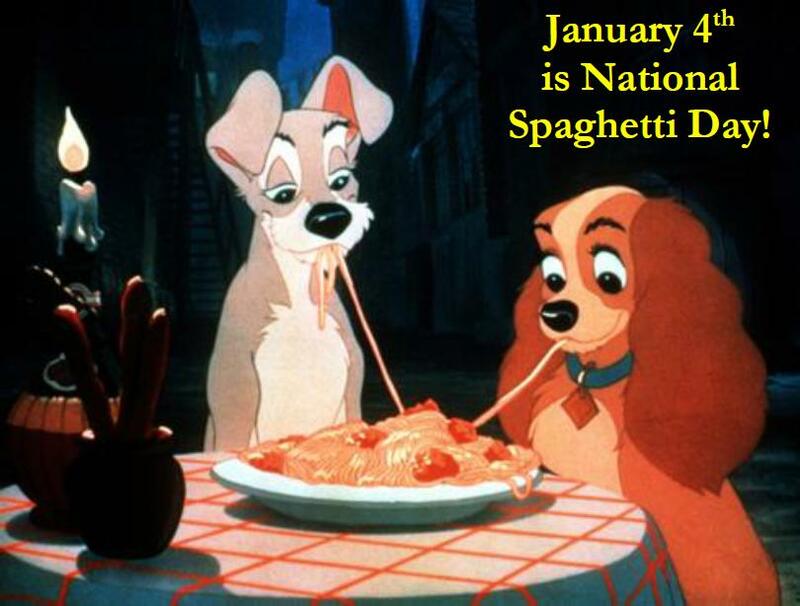 National Spaghetti Day on January 4 recognizes that long, thin cylindrical pasta of Italian and Sicilian origin.
. 1809 ~ Louis Braille, Inventor of the Braille system which enables the blind to read words and music. When he was only 3, Louise Braille, was permanently blinded in an accident with a leatherworking awl in his father’s saddlemaking shop in Coupvray, France. Several years later, he was admitted to a school for the blind, the Institution Nationale des Jeunes Aveugles. Later, as a teacher at the school, he worked at adapting Charles Barbier’s system of writing with points. Ironically, his method centered around using an awl-like stylus to punch marks in paper that could be felt and interpreted by the blind, allowing them to “read” with their fingertips. Braille’s work went unnoticed until after his death, in poverty, in 1852.
. 1928 ~ NBC radio debuted one of radio’s first variety shows. “The Dodge Victory Hour” starred Will Rogers, Paul Whiteman and his Orchestra and singer Al Jolson. The cost to produce this one show was $67,600.
. 1932 ~ NBC Red presented “The Carnation Contented Hour”. The show continued on network radio for 19 years as a showcase for top singers and musicians.
. 1935 ~ Bert Ambrose and his orchestra recorded the song that became the group’s theme song. It was titled Hors d’oeuvres and was cut in London for Decca Records.
. 1935 ~ Bob Hope was first heard on network radio as part of “The Intimate Revue” with Jane Froman, James Melton and the Al Goodman Orchestra.
. 1936 ~ The first pop music chart based on national sales was published by “Billboard” magazine this day. Joe Venuti, jazz violinist, was at the top of the chart with a little ditty called Stop! Look! Listen!.
. 1950 ~ RCA Victor announced that it would manufacture long-playing (LP) records. This news came two years after Columbia Records debuted the ‘album’.
. 1954 ~ Elvis Presley strolled into the Memphis Recording Service and put $4 on the counter. He recorded Casual Love and I’ll Never Stand in Your Way, two songs that so impressed record executive Sam Phillips that he had Elvis record his first professional sides for Sun Records the following August.
. 1965 ~ The Fender Guitar Company was sold to CBS for $13 million.
. 1979 ~ With a new interest in Beatles music on this day, the Star Club reopened in Hamburg, Germany. None of The Beatles returned to their beginnings to attend the gala opening.
. 2001 ~ Les Brown, whose Band of Renown scored a No. 1 hit with Sentimental Journey during America’s big band era of the 1930s and ’40s, died of lung cancer at the age of 88. A conductor-clarinetist whose smooth arrangements of swing melodies transcended changes in musical tastes, Brown was cited in 1996 by the Guinness Book of Records recognized him as the leader of the longest lasting musical organization in pop music history. He started his professional career in 1936, and his Band of Renown was still performing about 60 dates a year as recently as five months ago, often conducted by son Les Brown Jr. Brown formed his Band of Renown in 1936. In the 1940s heyday of swing, Brown never achieved the greatness of Tommy Dorsey, Glenn Miller or Benny Goodman. But the band scored two hit records – Sentimental Journey, with Doris Day as vocalist, and the instrumental I’ve Got My Love to Keep Me Warm. Sentimental Journey, co-written with Ben Homer and Bud Green, became a theme for soldiers returning home from World War II. “The happiest times in my life were the days when I was traveling with Les and his band,” Day said. “I loved Les very much, I am going to miss his phone calls.” Brown’s career included a close association with Bob Hope. In 1950, he joined Hope for the first of 18 Christmas tours to entertain American troops at military bases around the world. Day also participated. “The world has lost a great musician,” Hope said. “I have lost my music man, my sideman, my straight man and a special friend.” As the first president of the Los Angeles chapter of the Academy of Recording Arts and Sciences, Brown helped make the Grammy Awards a televised event. He convinced Hope, Frank Sinatra and Bing Crosby to participate in the first telecast.
. 2004 ~ Jake Hess, a four-time Grammy winner who sang with some of the premier quartets in gospel music and influenced the career of Elvis Presley, died. He was 76. Hess, whose career spanned more than 60 years, is best known to contemporary audiences as a regular member of Bill Gaither’s Homecoming Friends, on various Christian and country music cable channels, including TBN and TNN. Hess joined The John Daniel Quartet in 1943 and reached stardom with The Statesmen Quartet. He was founder of The Imperials and sang with The Masters V. Each of these groups is enshrined in the Southern Gospel Music Hall of Fame, as is Hess. He is also a member of the Alabama Music Hall of Fame. As a teen, Elvis Presley was a regular at Statesmen concerts. Later, Hess was a backup singer on several of Presley’s Grammy-winning albums. When Presley died in 1977, Hess sang at his funeral, as he had at the funeral of country legend Hank Williams in 1953. Peter Guralnick, author of a two-volume biography of Presley, said the rock star always wanted to emulate the voices of Hess and crooner Roy Hamilton. This entry was posted in Composers, Holidays, musicians, Today in Music History and tagged Al Jolson, composer, Elvis Presley, Fantasia, Giovanni Battista Pergolesi, Grace Bumbry, Joe Venuti, Johann Friedrich Agricola, Josef Suk, Les Brown, Louis Braille, LP, music, organist, Paul Whiteman, Sam Phillips, Stan Kenton, The Beatles, The Fender Guitar Company, video, violinist, words and music. Bookmark the permalink. Don’t Give Up Because You Miss a Note!